An audience of vocal and attentive regulars at a local jazz club in Harlem NYC helped to shape the sound and concept for Melissa Gardiner’s group. The result is an engaging and soulful musical experience that reflects the energy of a heartfelt and artistic community. 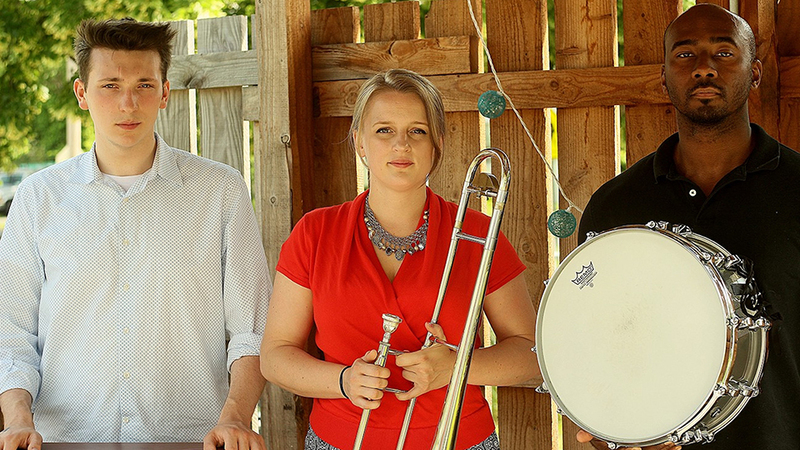 Now based in Syracuse, NY, the core group is a non-traditional jazz organ trio with Melissa on trombone & vocals, joined by William Gorman on the organ and Byron Cage on drums. All three musicians were brought up in the church with a background in gospel music. With added influence from the blues, soul, neo-soul, R&B, funk, and fusion, their diverse repertoire always focuses on a strong groove, combined with interesting reharmonization and beautiful soaring melodies.